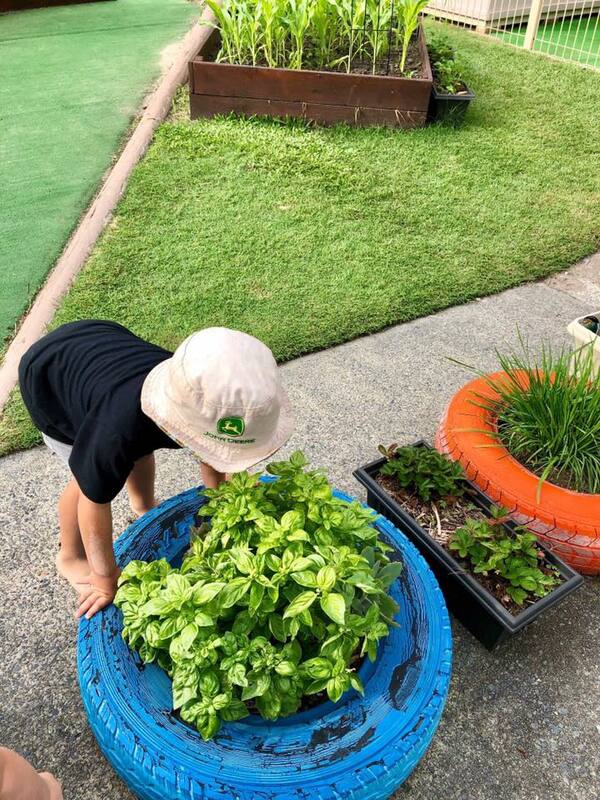 You are here: Home / All Locations / Harbour Town Kindyland / Sustainable practices and care for the environment. 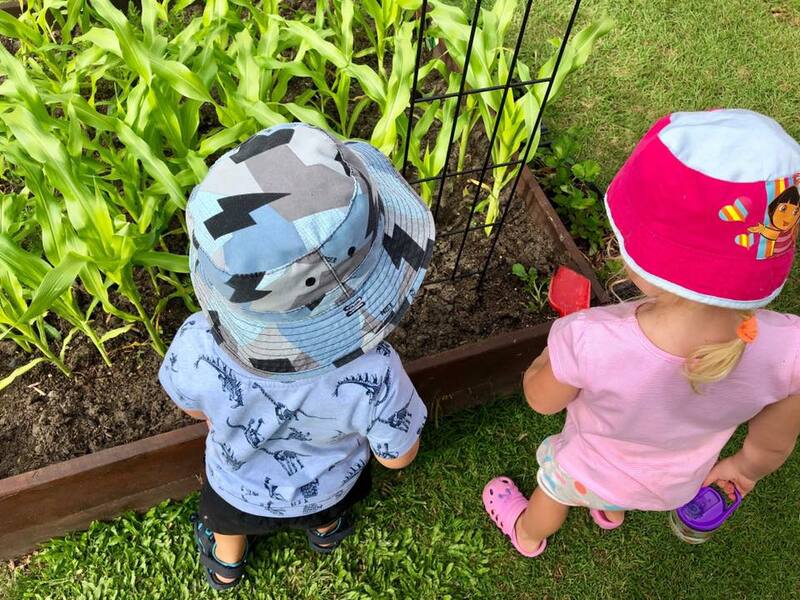 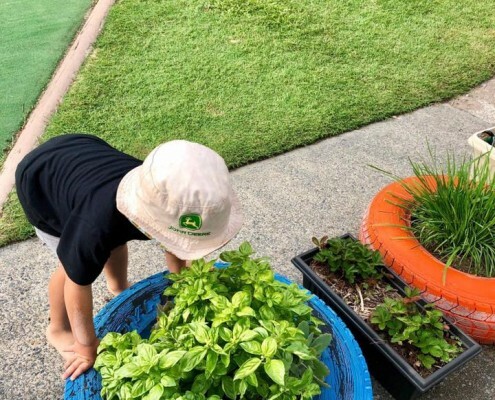 Our Harbour Town children have been showing a strong interest in the weather and investigating the effect the recent rain has had upon their vegetable gardens. 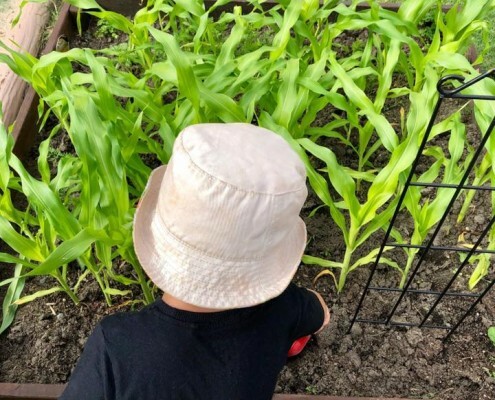 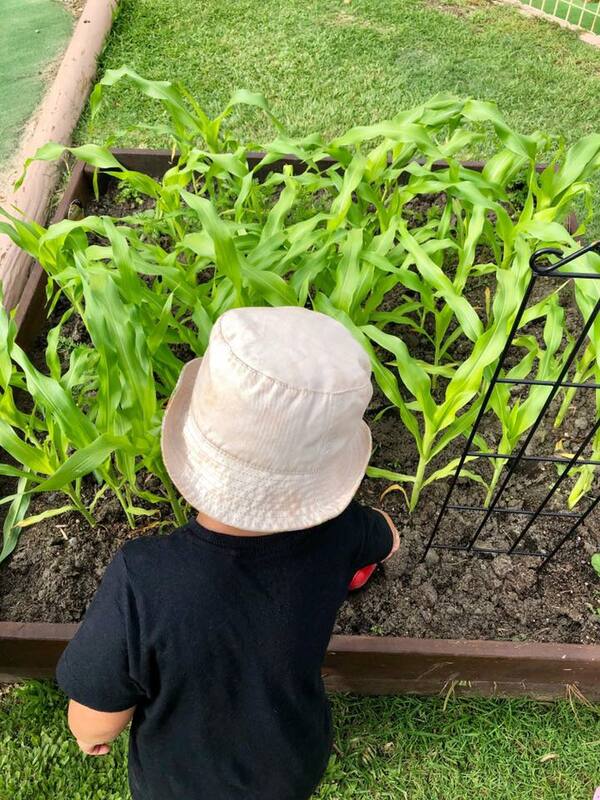 The children have delighted in seeing how rapidly the sweet corn has grown. 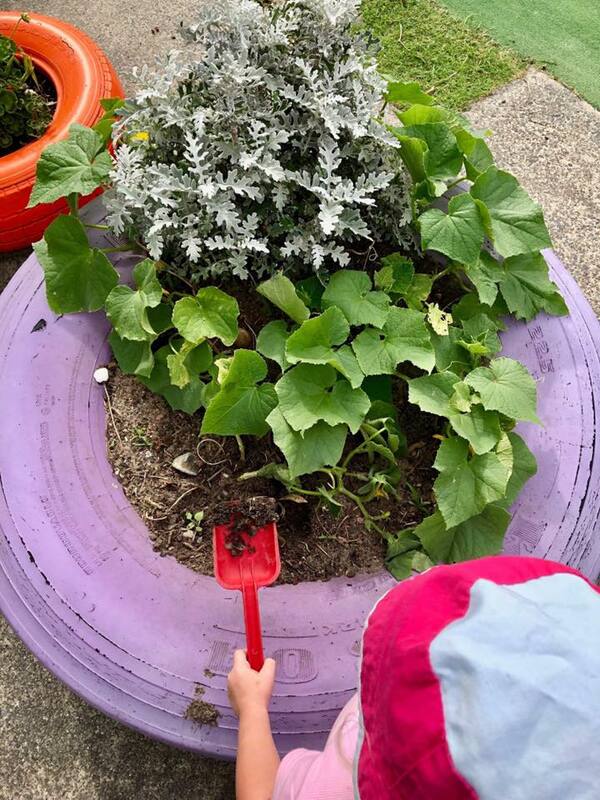 They have been actively involved in preparing the garden beds, planting the seeds and seedlings, then tending to the gardens. 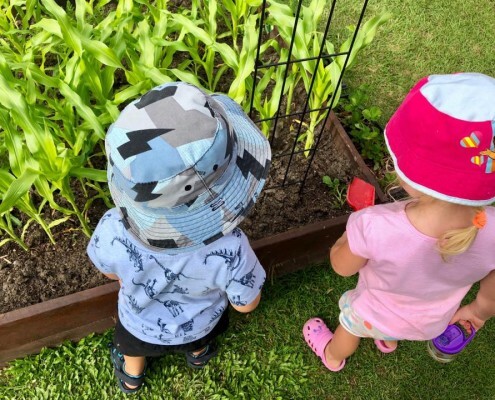 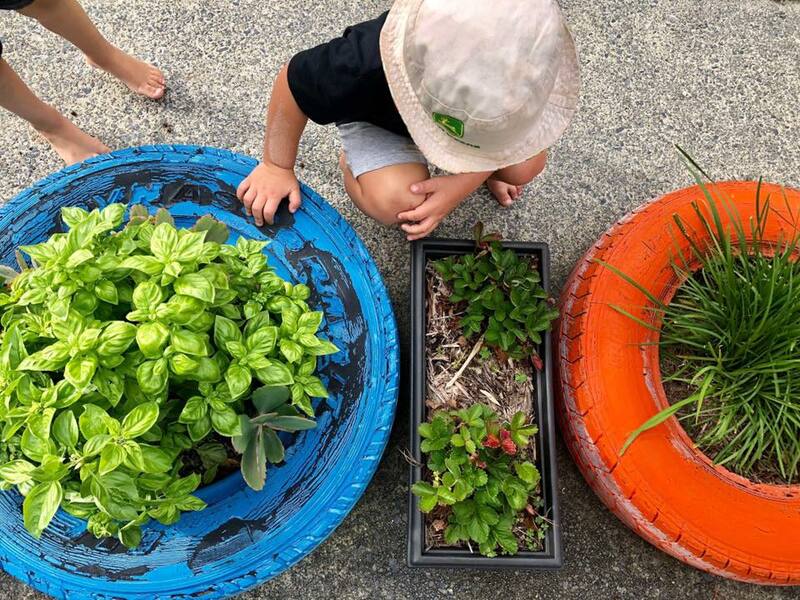 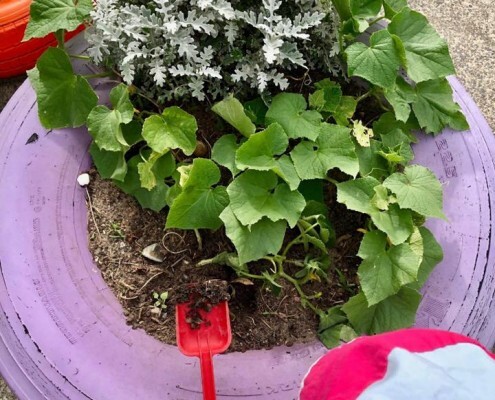 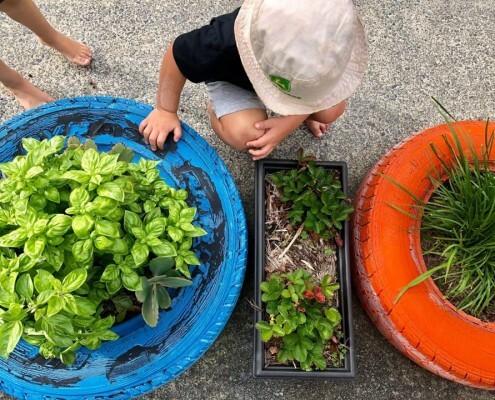 The children themselves decided to reuse the water from the water trough to water their plants demonstrating their embedded awareness of sustainable practices and care for their environment. 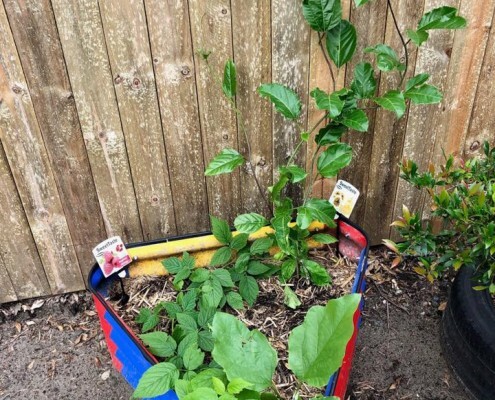 Our school age children have their own separate garden beds that they have planted with an assortment of fruit such as raspberries and passion fruit. 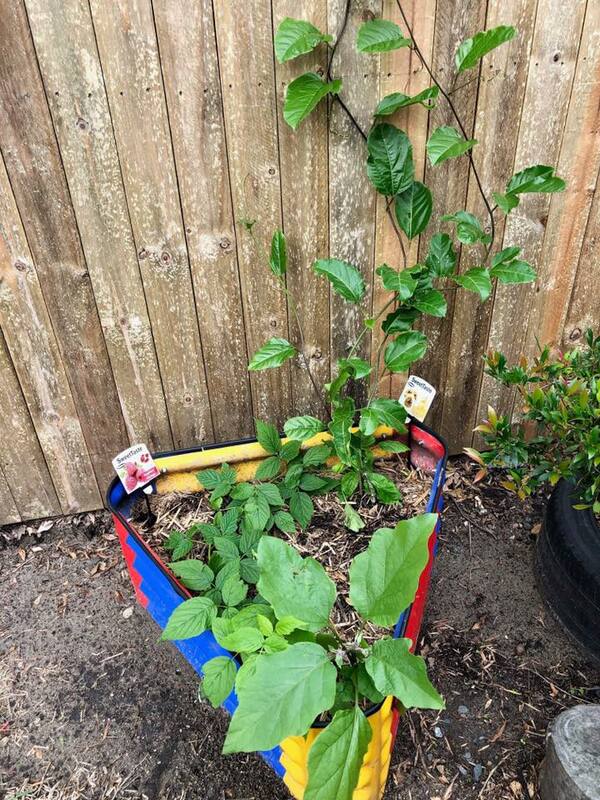 They have been eagerly measuring the growth of the passion fruit vine as it makes its way along the fence.